For past few months, I have been trying to achieve best possible sound in my rig. The focus now is clearly on a improving 2 channel sound in what started as a home theater room. In past couple of years, I have added N10, Modwright DAC and very recently a LS36.5 linestage . The amps are Modwright KWA150SE. I am running pair of KWA150SE's in bridge mode (450Wx1) for the mighty B&W 800D2's. While I like the sound as is, still feel something is missing. I have been toying with the idea of bi-amping. One thought is to add mono tube amps to run mid's and high's and let the KWA150SE's handle the LF's. I am pursuing that seductive, slightly warm mid-range and top end that usually comes from tube amplification. I don't think there is any tube amp out there by itself capable of powering up bass hungry 800's. I prefer not to use a subwoofer in 2 channel setup. I listen to mostly jazz and classical music and quite sure that 800's are capable of producing adequate bass with proper amplification. Its not boxing both done right are wonderful it depends on your speakers and taste. Bi-amping with tubes and SS can be tricky, matching different input sensitivities in the amps, etc. You would seem to have plenty of power between the two Modwright KWA150SE's. The Modwright LS36.5 has a reputation for being a modern tube design, not sounding very tubey, or warm. Perhaps you might consider trying a preamp that would give you that "seductive, slightly warm mid-range and top end that usually comes from tube amplification" that you seek. Something along the lines of a Cary, CJ, Joule Electra, etc. You could possibly get the same desired outcome with cables too. Look for something with gold in it as a conductor. KCI Silkworm+, Jade, or Gabriel Gold may be just the ticket. I am doing what you are thinking about; bi-amping w solids and tubes, but my components are very different. You will need an active crossover, preferably with the ability to vary crossover frequency, phase and gain. In my case, I am running Feastrex full-range drivers for the mids, highs, and upper bass driven by an Atma-sphere OTL S-30, crossed over at around 80 hz to a pair of 10" woofers per side, driven by a Class D Crown amp. I'm very happy with the result but it is a bit complicated and there are lots of places where gremlins can creep in. I don't know if the 800Ds allow you to bypass the internal crossovers, but I would think you would want to do that. Clean power? Grunge will be most noticeable in the midrange and HF. Be careful of putting the digital components on the same circuit as the analog. Especially, the streamer. I don't think there is any tube amp out there by itself capable of powering up bass hungry 800's. that would do it nicely. I have run 200 + wpc OTL monoblocks. The bass was lean and bettered by my Music Reference RM9. Also depending on where you live - you may need to have your Air Conditioning running in the winter. Forget OTL. Stick to Push Pull. You need a tube amp with excellent transformers that can be tapped on 4 ohms. If you really want to come to the end of the audiophile road and enjoy the music. This is one way. Try to find a first generation RM9 also. A very good solid state option is the Dan D'Agostino era Krells. Dan used to have Matrix 800's in his personal room and designed the FPB series to their needs. What 800,s do you have? The 800D/2/3 are a bit of a vicious load not just in the bass which can get down to an "EPDR" ( equivalent peak dissipation resistance) of around 1ohm, but also in the 8khz which can get to an EPDR of around 3ohms. Have you tried to use it in high bias class-A mode?, (switch on the back) as this should sweeten things up and not sacrifice any solid state detail and dynamics. I had a look at the amp specs online. walk up a hill at an easy pace. then run up that hill 4 times as fast. Running 4 times as fast up that hill is like bridge/mono mode. imo - Your stressing the amps. All B&W 800 series have always been far too revealing of upstream components. So agree with Georgelofi to just run them in stereo mode. But I assume you have done that already? You should also be running in high bias mode for those speakers. Again I assume you are doing this. I noted that the amps are also not able to double down. 8 ohms going to 4 ohms and no figure shown for 2 ohms at all. It is not recommended to run the amplifier in bridged mono into 2ohm loads. This amp would not have made my final checklist for the 800d2 speakers. my systems are shown here just click on the runner. Not only are your speakers vicious (and tube-unfriendly) loads, as George points out above, but in the bridged mode you are using your amps will "see" speaker impedances equal to half of the already very low values he cited. Which can't be good for the sonics of the amps, even though I note that you indicated in this 2015 thread that Dan Wright had "optimized these amps for bridged mode," whatever that may mean. Also, as others have alluded to there are a great many ways in which using solid state and tube amps in a biamp configuration can do more sonic harm than good. And even more so when the speaker is inherently not tube friendly in terms of either its impedance characteristics or its power requirements. My suggestion is that you consider trying your existing amps in a passive vertical biamp configuration, with each amp operating in stereo mode rather than bridged mode. Your speakers have low impedances in much of the bass region, and the 250 watt/4 ohm rating of your amp in stereo mode could very conceivably be adequate, especially given that each channel of the amp would only be supplying current and power in part of the frequency range when used in that configuration. The one caveat that occurs to me related to that configuration is that I'm not sure about impedance compatibility with your line stage. In that configuration the line stage's output for each channel would be driving the inputs of two amplifier channels, and would therefore see a load impedance equal to half of the input impedance of each amp channel. 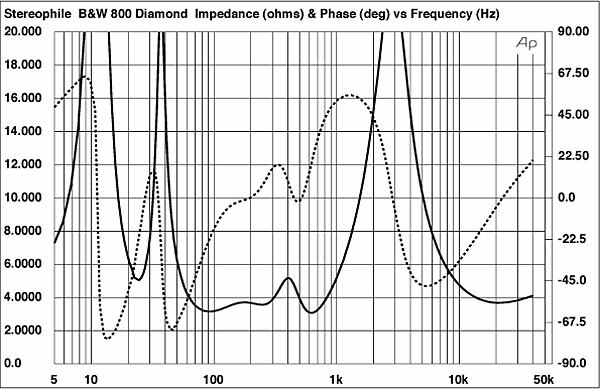 The input impedance of the amp is spec'd at "15K at 50Hz; 23K at 1Khz." The LS36.5 has a specified output impedance of 110 ohms, which would seem compatible with a load impedance of 15/2 = 7.5K, but as with many tube preamps the 110 ohm figure might be considerably higher at deep bass frequencies. That would be a question for Dan. Also, assuming you are using balanced interconnections between the line stage and the amps you would need an XLR splitter, such as these. In your older thread that I referenced earlier, BTW, I had advocated against a vertical biamp solution, but that was under completely different circumstances prior to your purchase of the Modwright amps. This thread has been done many times!! If you can't hear the difference, what's the difference? "My suggestion is that you consider trying your existing amps in a passive vertical biamp configuration...."
Al, thank you for your feedback. I have already tried this, while I gain bit of better separation in mid’s and high’s, the bottom falls out a bit. The low bass frequencies are not a weighty as they are when I run the amp in bridge mode. Secondly, the LS36.5 is configured with dual balanced outputs in parallel to accommodate bi-amping or a sub with balanced inputs. @ct0517, I have tried all the options you suggested. My room is fairly treated and power issues has been addressed with a pair of Audience aR6-TSSOX for digital and analog components. It seems from rest of the feedback that KWA150SE may not be the ideal choice for 800’s. I am looking into a pair of Class D 1000W / 8 ohm amps to handle low bass frequencies. Add a electronic analog crossover to split bass and mid/high frequencies between class D and tube amps. I hear Pass Labs SVR1 and Marchand tube or SS are among the best crossovers out there. If both of the "dual balanced outputs in parallel" are driven from the same output stage within the line stage, as seems very likely, the lack of bass weight in the vertical biamp configuration could very possibly be due to the impedance compatibility concern that I cited earlier. You may want to discuss that with Dan. If he confirms that both of the output connectors provided for each channel are driven by the same output stage, and if he indicates that the output impedance of the line stage rises significantly at deep bass frequencies (as is very common with tube line stages and preamps), you may want to consider inserting some sort of a buffer stage between the line stage and the amps, that would provide high input impedance and low output impedance, and re-trying the vertical biamp configuration. Have you heard the speakers in another system that did what you seek? What were they using to drive them? Have you tried any hybrid amps that will offer the control of SS output stages and maybe a bit more warmth on the top & mids? Thanks Al, i will speak to Dan soon and chime back in soon. Spencer, great feedback. I have heard 800's with McIntosh and Classe and to my ears, McIntosh matched very nicely with 800's. I would love to try Aesthetix Atlas mono's but they are bit out of my budget. So I will continue to explore Amp/Preamp options. lalitk- I was not trying to dissuade you from the active bi-amp configuration; I am using it to great effect (at least to my aging ears) in my system. I have the NHT X-1 crossover and it seems to be up to the task. It's quite a bit less $ (cheapskate that I am) than the Marchand or Pass so it might be a way to see if it starts you down the right road. In every case I ever seen/heard/measured bridging a stereo amp yes gives more wattage, but your damping factor is halved and the bass is never as controlled. @swampwalker , you didn't dissuade me at all. I am still determined to try bi-amping before I give it up in favor of a hybrid or class A heavyweights, like Krell or Pass Labs. George, good point. That's exactly what I experienced last weekend. If the bass crossover is the same as the older 800 series (350hz) two different amps will be totally audible and not in a good way. You will not achieve your goal going down the different amp biamp path. Laltik - I have my 800s biamped with identical amps and don't use an active crossover - works great and insanely better than when I initially had them running through single amps and/or biwired. Will also note that, like you suggested, I finally ended up driving each channel w/ 2 1KW/4ohm SS amps. I biamp my 801Ns with solid state and tubes and am happy with the results. The biggest issue was balancing the amps. My amps don't have gain controls and the SS amps had to be padded down a little as the bass was too strong. Adding the tubes to the high end really smoothed the sound out with reduced glare. Pretty much what you mentioned you were hoping for. Bill, thanks, that's a good point. The only issue with padding down the gain on SS is a trip to manufacturer for gain adjustment. However, this option is quite appealing considering the added expense of external crossover and extra sets of cables not to mention another component in the chain. The only issue with padding down the gain on SS is a trip to manufacturer for gain adjustment. Use a $49 Schiit passive preamp on the amp/s with the most gain, so you can "balanced them". George, while that would be a good suggestion in many applications, if my speculation about the LS36.5's output impedance at low frequencies is correct the 10K input impedance of the Schiit is likely to be a problem. Also, it only provides unbalanced ins and outs, and balanced connections to whatever amps Lalit ends up with may be preferable. He is apparently using balanced connections now. LS36.5’s output impedance at low frequencies is correct the 10K input impedance of the Schiit is likely to be a problem. At 110ohms, even if it were cap coupled, surely it’s still big enough, not to roll of the bass, only 2uf would do to be -3db at 7hz into the Schiit Sys’s 10kohm. Would this be a good time to add those Zero autoformers that Ralph advocates? What I was thinking is that hard to drive speakers are hard to drive. As the many posts in this thread are pointing out. Amps of any persuasion don't like working hard- they invariably make more distortion which is easy to hear as it tends to be higher ordered harmonics (which the ear uses as loudness cues). This is part of why balancing the lows and highs can be so tricky, since the ear converts distortion into tonality, and the distortion is not an actual frequency response issue! So you wind up trying to adjust for a perceived frequency response issue which that's not actually the problem. So you might consider switching to a speaker that is easier to drive- they are out there and can make just as much bandwidth and detail as you experience now but without the driving headaches (which often lead to real headaches). Thanks for chiming in, Ralph. Regarding the earlier discussion of the LS36.5’s output impedance, after researching a little further I see that its outputs are transformer coupled, rather than capacitor coupled. And as previously stated its output impedance is nominally specified as 110 ohms. So it should have no trouble driving relatively low impedances, including the 7.5K impedance it would have been driving when Lalit tried using the amps in a vertical biamp configuration. Given that, I have no idea why he would have found the vertical biamp configuration to result in a less weighty deep bass compared to running the amps in bridged mode. why he would have found the vertical biamp configuration to result in a less weighty deep bass compared to running the amps in bridged mode. Al and George, I might add, may not be listening my music at loud enough volume to 'feel' low bass frequencies in vertical bi-amping. Don't know about you guys, my room is 15'D x 30'W and 60db's is plenty loud. Don’t know about you guys, my room is 15’D x 30’W and 60db’s is plenty loud. That’s an interesting point, Lalit. The sensitivity of our ears to deep bass frequencies, relative to their sensitivity to higher frequencies, will of course be less at relatively low volume levels than at higher volume levels, per the Fletcher-Munson effect. Which leads me to wonder about the gains your amps provide when used in bridged mode vs. when used in a vertical biamp configuration. The gain of the amp is spec’d at 26 db, a typical number for a power amp, which I presume applies to the stereo mode that would be used when biamping. But I would suspect that their gain in bridged mode, which does not appear to be specified, may very well be (and probably is) 6 db higher. And if so, unless you took special measures to accurately compensate for the reduced gain when you tried vertical biamping the result might have been that you were listening at a somewhat lower volume in that mode, which might account for your perception of less weighty deep bass. Although it’s not particularly relevant, I’ll mention that my room is 12W x 22D, opening to another room in the rear. My listening is mostly to classical music, and in many cases to recordings having very wide dynamic range. Average SPLs at my 11 or 12 foot listening distance are typically in the mid-70s or thereabouts, but I have at least a few orchestral recordings that were engineered with minimal or no compression, and produce SPLs that can vary between around 50 db and brief peaks of 105 db on the same recording! Al, you are spot on amp gain in bridge mode, it's 32db. I mostly listen to jazz and classical music. I think it's worth a second shot to try vertical bi-ampimg again tomorrow and increase the volume upto 80db to compensate for -6db gain. Thank you both for great feedback! You’re welcome! A minor correction to my previous post: The width of my room is 13.5 feet, not 12 feet. Length is 22 feet as previously stated. In all seriousness, yes 800's and KWA150SE performed much better in vertical bi-amping at 85db plus. And I did appreciate the separation between low bass frequencies from mid's and high's. As others 800's owners have suggested in this thread, a higher wattage (600W -1000W) amp would be better suited for my listening preferences. May be a pairing of McIntosh MC601/MC301 with a tube preamp or McIntosh MC601/MC2301 with a MEN220 in front of MC2301 would just do the trick! I see that you have your Modwright KWA150SE up for sale. Did you get a new amp already? Not yet, but to move forward with new set of amps this would be the first step. The MEN220 has an input impedance of 10K, balanced or unbalanced, which will result in deep bass rolloff and possibly other sonic issues when driven by many tube preamps. Most ARC line stages and preamps, for example, have a minimum recommended load impedance of 20K. The MC601 and MC301 have input impedances of 22K, balanced or unbalanced. So if they are driven by a single output stage (per channel) within a preamp or line stage that output stage will see a load impedance of 11K, which again will be too low for good results with many tube preamps. And most preamps and line stages that provide two output connectors per channel drive both connectors from the same output stage. Fortunately the MC601 and MC301 have the same gains, and both are very powerful, so biamping them without an electronic crossover seems like a reasonable approach. Thanks again Al, I will check it out. IMO.. proper room acoustics and accurate speaker placement can give better results than trying to improve the electronics with the stuff you have. play around with those first. I congratulate you on considering bi-amping. Here's the gear I'd use for this effort. First off I'd get the DDRC-24 from miniDSP. It comes with a license for using DIRAC room measurement software. You'll probably want to get a calibrated measurement microphone from Parts-Express. Not at all expensive. After that I'd look into the Bob Latino tube amps from VTA. If you're really looking to run some juice, you might want to think about using the M125 monoblocks (120 watts) for your bass end and the ST-120 (60 wpc) for your high end. I think that's overkill actually, but that's the biggest beef you can find. You can buy them pre-assembled and tested, or you can build them yourself. I think building them is much, much more fun, but that's up to you.